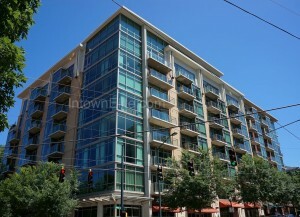 905 Juniper is a mid-rise condominium building on the corner of Juniper and 8th in Midtown Atlanta. The building was completed in 2006, stands 8 stories tall and houses 117 residential units as well as ground-level retail space. Studio, one-bedroom and two-bedroom floor plans make up the bulk of the inventory, but there are also a handful of multi-level live-work units on the ground floor. The condo units are what I would describe as "soft loft" style. 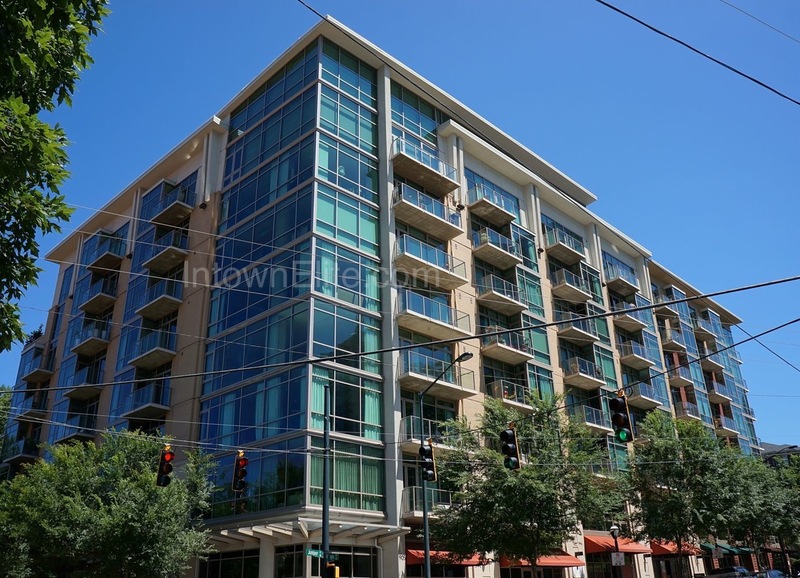 They are loft-like in that they have open floor plans, high ceilings, floor-to-ceiling glass and polished-cement floors (though some units have hardwoods instead). But they are "softer" than an industrial loft-conversion in that there are no exposed ducts, conduit, brick/block walls or pillars. The building boasts exceptional amenities, including one of the most inviting pool areas in town, a jacuzzi, clubhouse, courtyard, concierge service and fitness facilities.